The Tudor line reigned for 118 years. It all started with Henry VII of England but his reign was not without its ups and downs. On October 30, 1485, Henry VII was officially crowned King of England at Westminster. This started the next 118 years of Tudor monarchs, ending with Henry’s granddaughter, Elizabeth I on March 24, 1603. While it would seem that Henry VII was fully accepted as King of England, his claim to the throne was weak. There were a number of rebellions and claims to the throne up until as late as 1499 and Henry was always worried about others taking his crown from him. Henry Tudor had a weak claim to the throne, due to Henry IV declaring his half-siblings unable to inherit the crown. Henry Tudor was the only son of Margaret Beaufort and her second husband, Edmund Tudor. Edmund was the half-brother of Henry VI of England through their mother, Catherine of Valois. Catherine had secretly married Owen Tudor; although there is the possibility that they were not married and Edmund was illegitimate. This wouldn’t matter too much as Henry Tudor’s claim to the throne actually came through his mother’s side. Margaret Beaufort was a descendent of John of Gauge and his mistress, Katherine Swynford. John and Katherine’s children were declared legitimate after the two married and, according to Richard II and the pope at the time, they were eligible for the throne. It was Henry IV who declared that they were legitimate but could not inherit the throne. For all purposes, Henry was considered unable to inherit the throne but that didn’t stop Margaret wanting the best for her son. She believed that God wanted him to become king and made it possible with good marriage choices, alliances and plans. Her fourth marriage to Lord Stanley was the reason for Henry’s triumphant victory at Battle of Bosworth on August 22, 1485, where Richard III died—the last English monarch to die on an English battlefield. Henry VII needed to make his claim to the throne stronger and started as soon as he was declared king. Henry won the crown through a battle and he became King of England. However, it didn’t stop him worrying about the people against him and the fact that his claim was weak. One of the first things he did was to make his reign retroactive, so he was king from the day before the Battle of Bosworth took place. All those who opposed him at the battle and survived were declared traitors. He also took control of all the lands and titles that belonged to Richard III, who was seen as a traitor, too. Another way to make his claim to the throne stronger was to marry the eldest daughter of Edward IV and Elizabeth Woodville. This was already something agreed upon in December 1483, when Margaret Beaufort was conspiring with Elizabeth Woodville after Richard III declared Edward IV’s children illegitimate and Edward V and Richard, Duke of Shrewsbury, went missing from the Tower of London; presumed dead. Of course, Richard had made Edward IV’s children illegitimate; they could not inherit the throne. To stop that being a problem, Henry VII repealed the Titulus Regius and Elizabeth of York was legitimate again. She was really the rightful heir to the throne since her brothers were no longer around, so marrying her made perfect sense for Henry Tudor. The marriage also helped to unite the two warring Houses of York and Lancaster. It was a war that had really started when Henry IV deposed Richard II but officially began when Richard, Duke of York, rebelled against Henry VI to put his own son, Edward Plantagenet, on the throne. The marriage to Elizabeth produced four children who survived infancy. The first was a boy; a sign that their marriage was blessed and Henry’s reign was secure. However, that boy, Arthur Tudor, died at the age of 15. Their second son, Henry, was to become King of England—Henry VIII of England. There were a number of rebellions against Henry Tudor. Those involved Edward, Earl of Warwick and Perkin Warbeck were the two most notable. Despite Henry VII making his claim as strong as possible, it didn’t stop rebellions taking place. One of the most notable was in 1490 when a young boy came to England claiming to be Richard, Duke of Shrewsbury—the younger brother of Elizabeth of York. Richard was supposed to have been held in the Tower of London with his brother, Edward V, in 1483 “for their protection”. However, sometime in June 1483 they mysteriously disappeared. However, it would have been possible for Elizabeth Woodville, who was in sanctuary with her children (including Richard), to get Richard out of England and get another boy to take his place. As this boy who claimed to be Richard stated had happened. There is the thought that Henry VII wasn’t sure whether Elizabeth Woodville had helped her younger son escape, which is thought to be one of the reasons she wasn’t in court after 1487. The young boy in 1490 had the support from Margaret of Burgundy, who was Edward IV’s sister. There were attempts to invade England and Ireland and he even managed to convince James IV of Scotland to invade England! It was a worrying time for Henry—could this boy really be the Richard he said he was? If he was, it would make Richard the rightful heir; after all, Henry VII had repealed the law that declared Edward IV’s children to Elizabeth Woodville illegitimate! The boy was captured in 1497 and under torture stated that he was not Richard after all. He was a young Fleming called Perkin Warbeck. The sources of his life contradict each other, so it is hard to know what the truth is. However, Henry VII decided that this boy was an imposter and a traitor. He was executed in November 1499. 1499 brought another rebellion to an end too. In 1487, the Yorkists led a rebellion with a young boy who claimed to be Edward, Earl of Warwick. Edward was the younger living child of George Plantagenet, brother of Edward IV, and Isabel Neville. Lambert Simnel led the rebellion but it didn’t go far as he died at the Battle of Stoke. Henry VII was sure that this was an imposter. He had the Earl of Warwick locked up in the Tower of London since the start of Henry’s reign. Despite his claim being tarnished due to his father’s traitorous death, Henry was always worried that people would use him for a rebellion. Henry decided that he had one choice: Edward Plantagenet was executed for allegedly trying to escape through a plot with Perkin Warbeck. There are some beliefs that Henry VII also needed to execute his wife’s cousin. Ferdinand of Aragon and Isabella of Castile had still not sent their daughter, Catherine of Aragon, to England to marry Arthur Tudor. They feared that Arthur would never become King of England and the marriage was not in their best interests. 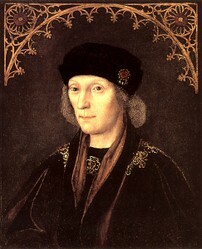 Ending the rebellions helped to show that Henry VII was the true King of England. This would make sense considering Edward's sister, Margaret, was made Countess of Salisbury instead of being executed. She wasn't someone rebellions would use against Henry VII. Unfortunately for Margaret, Henry's son, Henry VIII, viewed her as a threat and she was executed at the age of 67. Henry VII’s reign was not without its ups and downs. His claim to the throne was weak and there were plenty of rebellions against him. However, he did appease the people and was a good king for England. He helped to bring the end to the Wars of the Roses, put the country back into the black financially and restored royal authority across the whole of the country. Did he ever think on October 30, 1485 that he would ever be able to do all that? 1534: Parliament pass an Act of Parliament that makes Henry VIII Head of the Church of England. 1938: The US people find themselves in a panic when they hear about aliens taking over the world. It was HG Welles’ broadcast of “War of the Worlds”. Lady Jane Boleyn: Vindictive Woman or Pawn in a Plot? England Under the Tudors: Would King Edward VI Have Been a Good King? Edward VI reigned between 1547 and 1553 when he was just a boy. It's hard to know the type of king he would have been but here are some thoughts on the matter. Jane Boleyn is known for her part in bringing down the Boleyn faction. How much of that is really true? 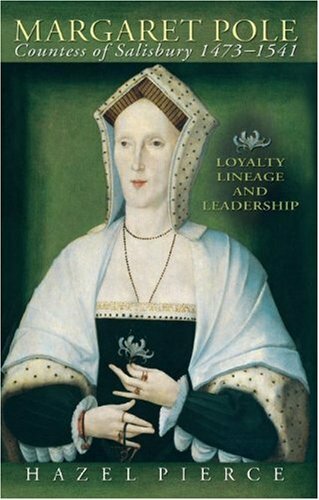 Was she just another pawn in Thomas Cromwell's plot for more power?